Mini Dachshund Battles Monster Truck!!! 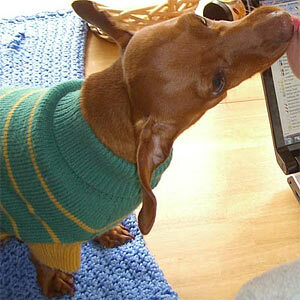 Welcome everyone is who checking in today, both Dachshund and human alike. It’s me, Sampson, the lovable mini Dachshund. 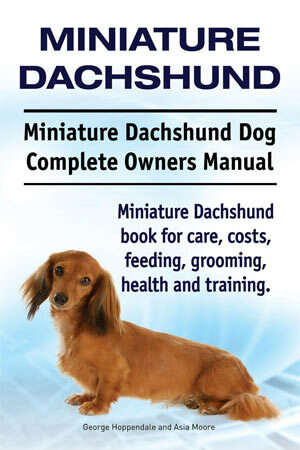 Today is Monday and do you know what that means for this mini Dachshund? I’m going to have a busy Dachshund morning. 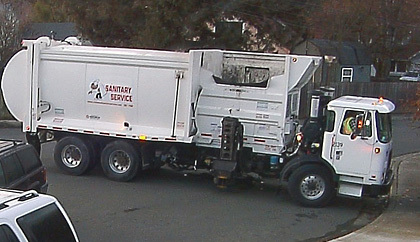 It’s the day the big trash truck comes to our street! Well, I miss the actual trash pick up because I am always still in my Doxie slumber dreaming away the night. But I do have to protect us from the big truck that picks up the recycle bucket and the compost bucket. Every Monday, this mini Dachshund must be prepared to do battle with this beast. First with my sharp Dachshund ears, I hear the loud noise, then I know the truck is coming. Then, it happens. It turns the corner and to my tiny Dachshund eyes appears the giant mechanical beast. I run to the front door, whining and growling to alert Mom and Pop Pops. I am frantic as I know with my keen Doxie mind that the metal Goliath is right outside! I whine and growl…..but where are my people? Why aren’t they here to help me defend our homestead? Suddenly, Mommy comes to the door, telling me everything is all right. I think to myself, “How could everything be all right?” I am barking ferociously!!! She obviously doesn’t know the giant truck monster is out there! She opens the front door and there it stands! It is so large to this little mini Dachshund, I dare say it takes up the whole cul-de-sac! We stood together, side by side, my mommy and me, standing our ground, ready to defend our homestead, and then the metal beast turned and drove away! We were once again triumphant! I cannot say the same for our blue recycle bucket which now laid on it’s side, it’s contents ripped out and stolen by the beast. Whew! Time for a nap! I like this blog!! P.S. This is Zach! HI! !